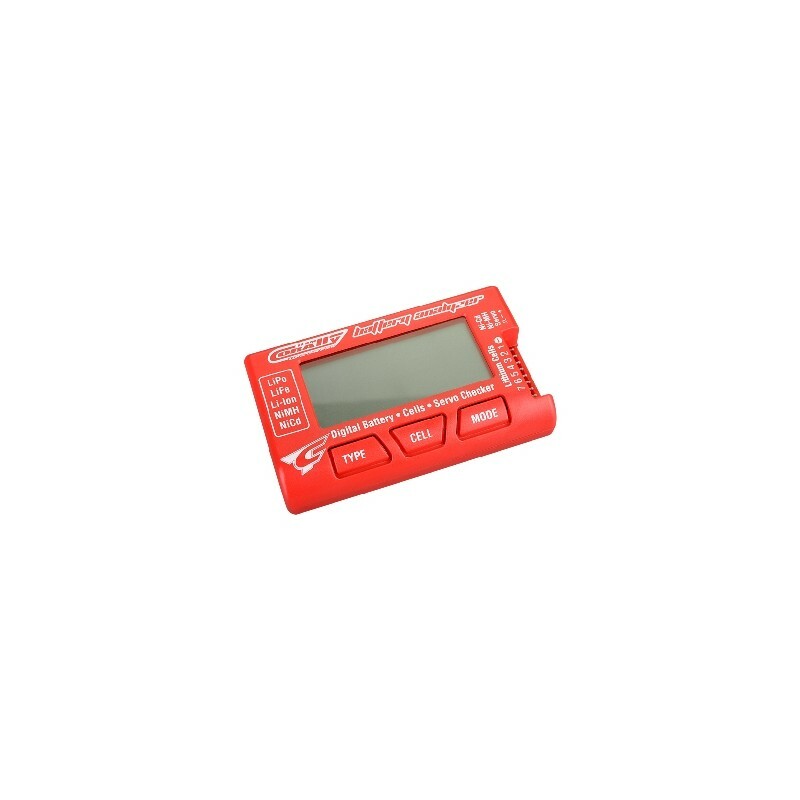 This TC Battery Analyzer provides you with an affordable way to monitor the condition of your batteries and allows you to easily see the total voltage, capacity, individual cell voltage, lowest and highest cell voltage, as well as the voltage difference between cells on 2S to 7S Lithium batteries with a simple tap of the buttons. The TC Battery Analyzer is also great for monitoring the total voltage of Nickel chemistry transmitter and receiver batteries from 4 to 7 cells. With a TC Battery Analyzer in your box you will never have to question the condition of your batteries. The answer is as easy as the tap of a button. You can even check the condition of your servos with the built-in servo checker.